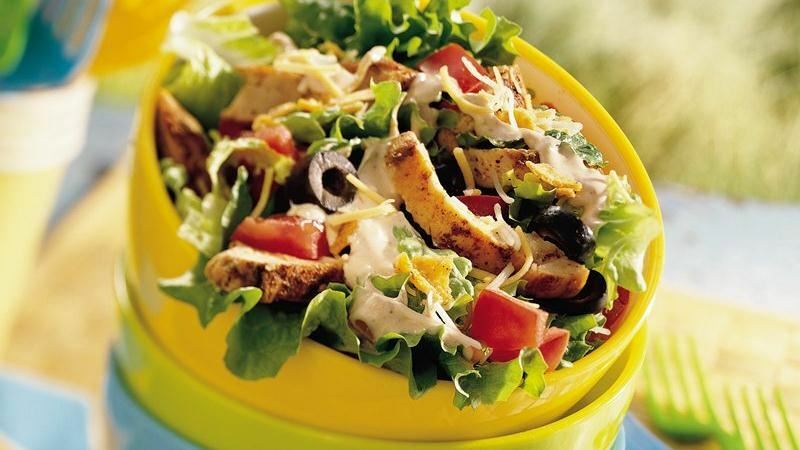 Taco salad is a tasty dish in itself, but is something that is avoided by those who are trying to watch what they eat, since most taco salads contain ingredients that are high in carbohydrates, like beans and chips. 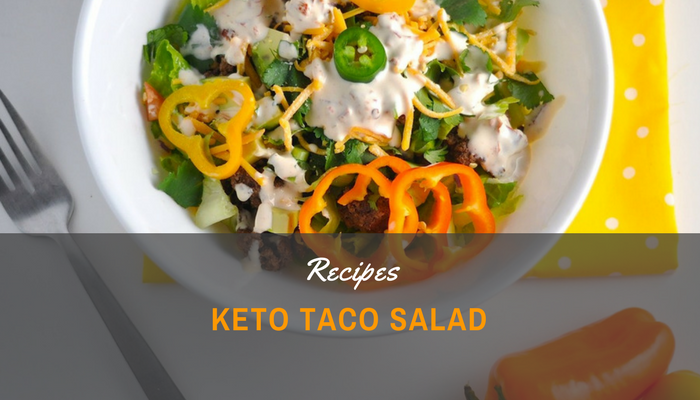 The good thing about taco salads is that it’s an extremely versatile recipe that can be easily transformed to be appropriate for diets like the keto diet. Here are a few high-fat and low-carb recipes that you can try so you could enjoy this tasty salad the keto way. Heat your choice of oil and then cook the ground beef in a pan together with the diced onion and minced garlic. When the beef turns brown, drain the fat and then add in the chili powder, cumin, red pepper flakes, paprika, sea salt, and black pepper. Mix them together and set it aside. For every salad serving, put together 1.25 oz. of salad greens, ½ of a tomato (diced), ½ of a chopped avocado, ¼ of the seasoned meat, and 1 oz. of the shredded cheddar cheese. Serve it with some parmesan crisps or on low-carb taco shells, and place some salsa or sour cream if you like. Preheat your oven to 300°F, 350°F, or 400°F. 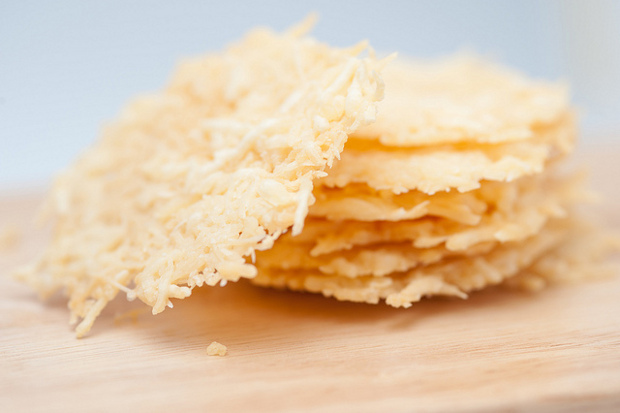 Prepare the tablespoons parmesan cheese by placing them on a lined sheet or parchment paper 1 to 2 inches away from each other. Bake for around 8 minutes if set under 300°F, about 6 minutes under 350°F, and 3-5 minutes under 400°F. Check if edges are browned, and then remove them from the oven. Let them cool and then serve or store in a tight container. Place the slices of cheese on a lined baking sheet or parchment paper, ensuring that they are placed beside each other with their sides touching. Place the sheet in the microwave and let the cheese melt in high for about 2 minutes, or until it starts to bubble and golden. Once cooked, immediately form the cheese into a bowl by taking the sheet and flipping it on top of a bowl until it has molded into your desired taco bowl shape. Let the cheese cool for a while before detaching it from the bowl. Serve with the taco salad. For this recipe, you can simply follow the Beef Taco Salad recipe, except that you’ll be substituting beef with chicken. However, you can also try another version for the seasoning as shown below. Thinly slice the chicken breast into strips, and then marinate it for an hour by combining the chili powder, cumin, paprika, salt, garlic powder, onion powder, oregano, coriander, turmeric, cayenne pepper, and 2 tablespoons of olive oil. After marinating, heat the extra olive oil in a pan and cook the chicken. Proceed to step 3 and 4 of the Beef Taco Salad recipe. These are just a few recipes, and you can always try to experiment on new ingredients to fit your taste buds. Note that you can eat delicious meals and stick to your diet at the same time. You just have to know the healthier alternatives to your favorite meals.